Team Orthodontics utilizes only the highest rated, next-generation i-CAT devices available to provide the most in-depth form of diagnostic treatment for all Team Orthodontics patients. It is our core belief that our patients deserve the very best! In the early part of his career, Dr. Danyluk was reliant on traditional, and subsequently digital, x-rays to provide the necessary imaging that he needed to orchestrate an effective orthodontic treatment. 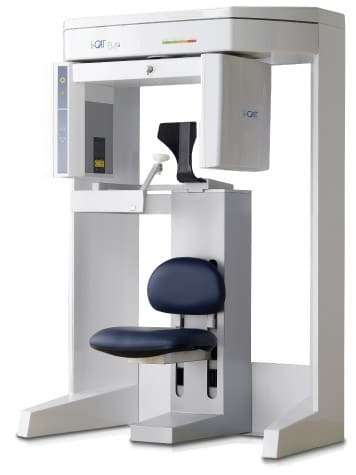 His insistence to provide the very highest level of orthodontic care to his patients led him to invest in the very latest 3D Cone Beam Computed Technology (CBCT). What is 3D Cone Beam Computed Technology? 3D CBCT is a low dose x-ray device that enables 3D imaging of a person’s jaw and teeth. Unlike traditional digital x-rays, a 3D CBCT scan exhibits no distortion of the patient’s anatomical structures. It also provides the ability to view a patient’s anatomy in 360-degree rotations of the x-ray. It’s almost like having a tiny camera that crawls right next to your teeth and jaw structures! The result – significantly enhanced diagnostic abilities that eliminate the guesswork often times associated with orthodontics. 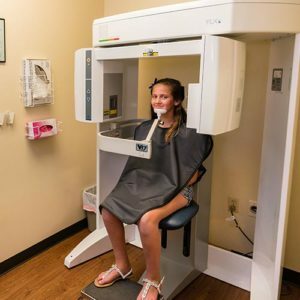 The next generation 3D CBCT at Team Orthodontics exposes the patient to less radiation than digital x-rays that are needed to correctly diagnose a correction and subsequent orthodontic treatment plan. How does the 3D x-ray process happen? Imagine sitting in a chair while comfortably resting your chin on a piece of plastic while a machine slowly turns around your head for about 30 seconds. That’s exactly what happens when a 3D CBCT scan is taken on our patients using our next generation i-CAT. The best way to understand what we are able to offer is to come into one of our Team Orthodontics locations for a free, no-hassle consultation. We will go over each of the cost determining factors with you in depth, evaluate your child’s teeth, discuss the best type of braces for your child’s situation, layout a treatment schedule, and ultimately, determine the cost of braces so we can create a payment plan that fits your needs.